2018 marks two important dates for the country of Georgia. In May, all Georgians, including many Georgian-Americans, commemorated Georgia’s 100th birthday. 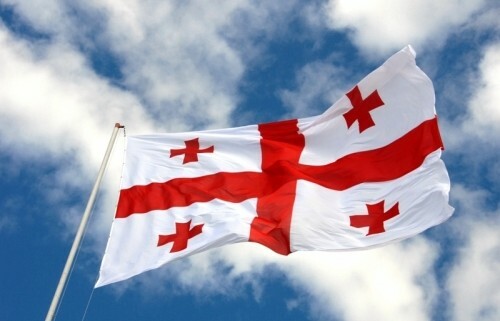 The modern state of Georgia began its life in 1918 and survived three years (1918-1921) before falling to a Communist invasion and almost seventy years of Soviet oppression. 2018 also marks the 10-year anniversary of the Russian invasion of Georgia. On August 8, 2008, Russian forces, some 80,000 strong, swept into Georgia once more. The pretext was that Russia was responding to a Georgian attack on the separatist enclave of South Ossetia. This ignores the context of almost weekly provocations by Russia leading up to August 2008. Today, in violation of the cease-fire agreement agreed upon in 2008, Georgia remains occupied by Russian troops. They are visible from the main highway which connects East and West Georgia, and are located just 40 miles from Tbilisi, Georgia’s capital city. “Temporary” housing built to house Georgians displaced by the war are also visible from the highway. The cease-fire line continues to advance into Georgian territory, as Ossetian irregulars and their Russian backers arbitrarily shift the border further onto Georgian land. This creeping “borderization” deprives Georgian farmers of access to their lands and homes, and leads to provocations, arrests and the murder of Georgian citizens by Russian border guards. Georgians worldwide are extraordinarily proud of the longevity of their culture and traditions. They have a unique language, are Orthodox Christians, and are dedicated to the preservation of their culture, and their historical connections to the West. Georgia (Sakartvelo to Georgians) is an ancient land that predated the formation of Rus or Russia. Georgia has survived despite the many invasions and foreign interlopers who have sought to control the strategically placed land which Georgians inhabit. Georgia’s orientation was always westward, and it remains so today. But Georgia is occupied, Russia continues to meddle in its internal affairs, and Georgia’s Western friends are preoccupied. Georgia was the first Ukraine. There should be no concessions to Russia until it observes the conditions of the peace agreement of 2008, which Russia itself signed. The Georgian Association in the USA believes that Western silence in the face of the ongoing Russian occupation of Georgia will encourage Russia to continue its meddling in the sovereignty of other countries. The United States Congress and European Union should all make plain their opposition to such Russian behavior, which is a threat not only to Georgia and the region, but to global peace.